Earlier this month Cassandra took on the challenge of a life time to help support The Hibbs Lupus Trust. 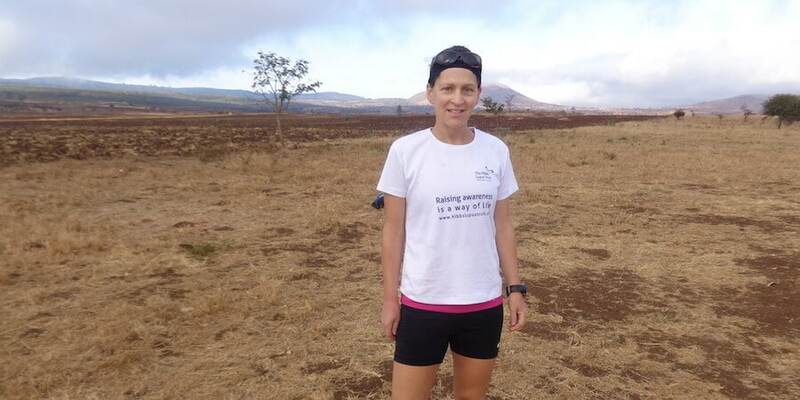 Cassandra, who lives in the US, decided that, despite suffering with lupus, she was going to take on a gruelling 160 mile run AROUND Kilimanjaro before attempting to climb to the summit of the world’s largest free standing mountain at 19,341ft! We are delighted to say that Cassandra completed both challenges as well as climbing to the summit of Mount Meru. Thank you Cassandra for your amazing support! You can make a donation is support of Cassandra’s efforts via her JustGiving fundraising page. Great Woman, Great Cause. Thank you, Cassandra. You are an inspiration to me for I myself have Lupus and seem to have lost myself in it. Family seems to be a foriegn word to me for they have kind of left me by the wayside most of the time. But did you feel anytime that you lost yourself once you found out you had Lupus, I feel as though my life has changed and I have lost me. But your story gives me hope and the freedom to believe in myself. Thank you!!!! !